A new exhibit at the Fine Arts Museums of San Francisco aims to showcase all of the elements that make up Muslim women’s fashion. 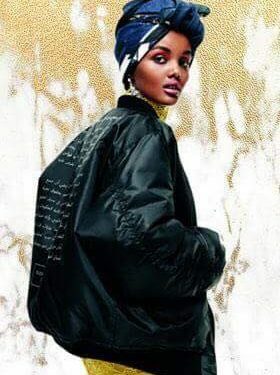 Contemporary Muslim Fashions shows over eighty different ensembles, from burkinis to ball gowns to sportswear, created by both established and emerging designers from all over the world. Fine art photographs and social media installations line the walls of the exhibit to help illustrate the layered and complicated story of modest Muslim fashion. Some women choose to cover their hair with turban styles, others with hijabs wrapped in soft layers to frame the face; and others do not cover their hair at all, choosing to focus on long dress lengths and sleeves. These choices are rarely discussed in mainstream fashion publications, but over the last few decades, Muslim women all over the world have collectively decided to take control of their sartorial image, and social media is helping them do it. 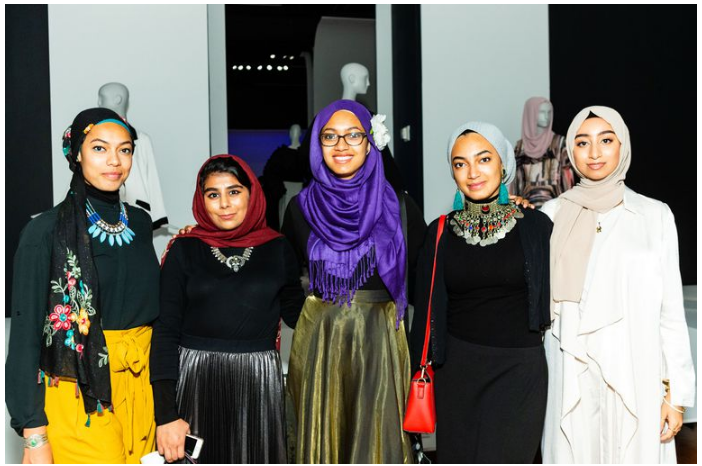 “The modest fashion industry is estimated at $44 billion,” said Reina Lewis, a professor and the author of Muslim Fashion: Contemporary Style Cultures who’s the consulting curator for Contemporary Muslim Fashions. “It’s rising faster than other sectors. Muslims, globally, is a youthful and growing population and modest fashion is having a moment on the global catwalks.” Reported Elle Magazine. The exhibit features designers from Saudi Arabia, United Arab Emirates, Turkey, Indonesia, and Malaysia—nations with a tremendous modest fashion scene. “Middle Eastern women, in particular, are high consumers of luxury fashion. 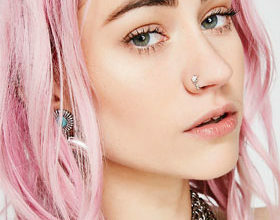 They are very educated and lead international lives,” D’Alessandro added. 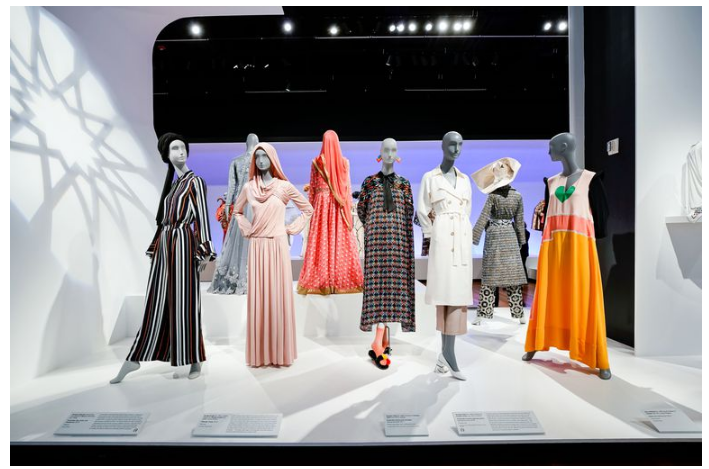 The exhibit also features pieces by western designers that are inspired by Muslim culture, such as YSL, who frequently took inspiration from Marrakesh. Muslim-American designer Lisa Vogl’s Verona Collection designs (sold on Macys.com) are also a part of the exhibit. High profile Middle Eastern women have been clients of couture houses for generations, whether it’s Dior or Oscar De La Renta—adding a panel here, sleeves there to fit their modest fashion guidelines while still participating in international trends. 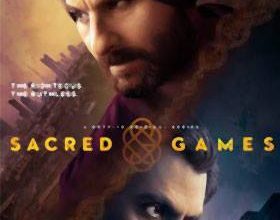 Will there be another series of Sacred Games?